I worked online with Miss Candy at ActiveTravel Asia to create a 3 day tour in the middle of our month long trip to Laos and Vietnam in January, 2013. From my first contact to managing changes occurring during the last moments of our tour, Miss Candy was quick, competent, professional and truly intent on making us happy. She did. Our ATA Vietnam caving/home stay tour was absolutely fabulous. 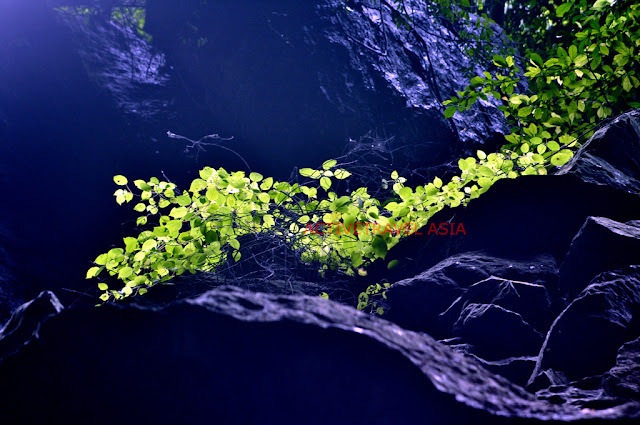 My husband and I were scheduled to do the Son Doong cave tour. However, the day before we were scheduled to go on the jungle trek to the cave, the rivers flooded, became impassible and our planned trip was washed away. Not a problem! Within a couple of hours, Miss Candy had 3 new alternative plans for us - one including a refund which I am so glad we did not choose. We chose the trip that included a driver, English speaking guide, river boat trip, visit to En Cave, a 2-night Chap Lay homestay and a 7 kilometer hike into Paradise Cave, the longest dry cave in the world. ABOUT MISS CANDY - Use her to plan your trip. Trust her. ABOUT ATA - Clearly a very well-connected company, just what you want when unexpected events occur. Trust them. It will work out. ABOUT THE CHAP LAY HOMESTAY - We stayed in a guest house behind our host's home in the middle of a field outside a small Vietnamese village. We had a private toilet and shower, no hot water, slightly uncomfortable in January but would not be a problem at any other time of the year. The hostess and daughter-in-law cooked our meals (8-10 delicious food choices) over an open fire in a thatched roof kitchen and they let me watch and help. Even though we didn't speak the same language, we 3 women were still able to communicate and share the important details of our lives. The men, through the interpreter, sat on the porch and talked. During the meals, when we were all together, our hosts were warm, open and gracious enough to answer all of our questions. The Chap Lay setting was beautiful and peaceful. Watching the children and farmers and water buffalo at work was remarkable. ABOUT PARADISE CAVE - The hiking group included my husband and I, one couple from Japan, our English speaking guide and 2 porters. The 9am to 3pm trek took us through tiny spaces to gigantic cathedral-sized caverns. Using only headlamps, I think we saw and touched every type of cave formation possible. Words are inadequate to describe the awesome beauty of this cave tour. It was a stunning experience, one that I will never, ever forget. ABOUT THE DRIVER AND GUIDE - They were at our service. If we said, "go over there", they went over there. If we said, "we would rather do this than do that", we did. Our wishes took priority over the ATA schedule, which is just how a private tour should be. Our interpreter was great. During conversations with others, his personality was completely in the background. But when asked for his thoughts and while explaining the history, he was charming and knowledgeable. SUMMARY - My husband and I dislike group tours and wouldn't do one, but we also are well-travelled enough to know when to hire the experts who can make our trip a 5-Star event. Active Travel Asia were the experts we needed in Vietnam. I would highly recommend them. 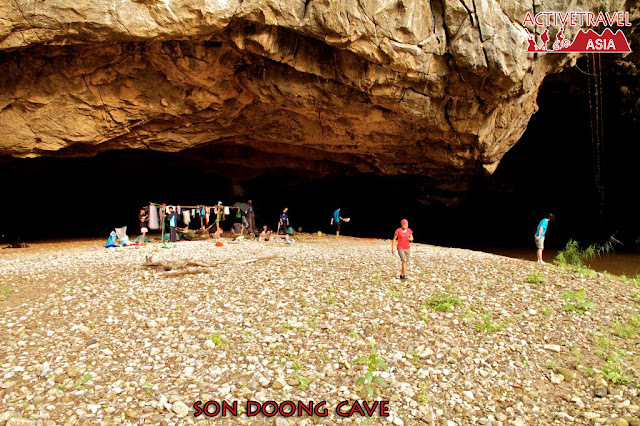 ATA would like to inform that Son Doong Cave has been temporarily closed to public. The cave might be reopened by the end of this year. For now, for those who are seeking for an amazing caving experience in Phong Nha National Park we would like to recommend another option of 2 days trekking, caving and camping to En Cave. Hang Én (Swallow Cave) in Phong Nha Caves in Quang Binh province in central. However, it’s paradoxical that few visitors know the site. The Swallow Cave is 1.645 m long and has three mouths. One is halfway up a mountain and two others are located on another mountain which has its foot on the south-east and north-west alongside Rao Thuong Stream. 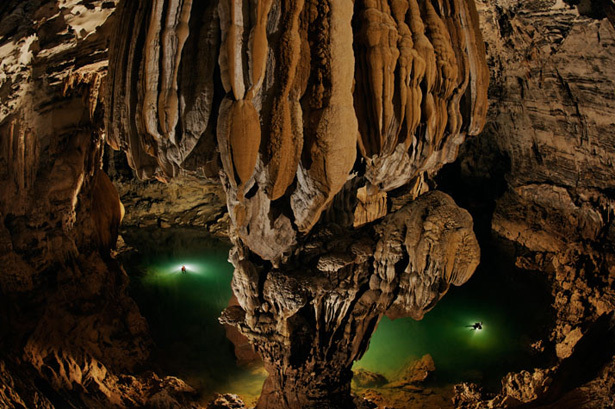 All of these make the cave different from other well-known caves in the country.